When the game launches on September 20, 2016 its soundtrack will include 39 tracks from a number of established artists and bands that span multiple music genres, including hip-hop, alternative and rock. Music from Drake, JAY Z, Future, Action Bronson, The Internet, The 1975, and Santigold highlight this mix of songs that will appeal to fans of the sport. The game releases for PC, PS3, PS4, Xbox 360 and Xbox One. 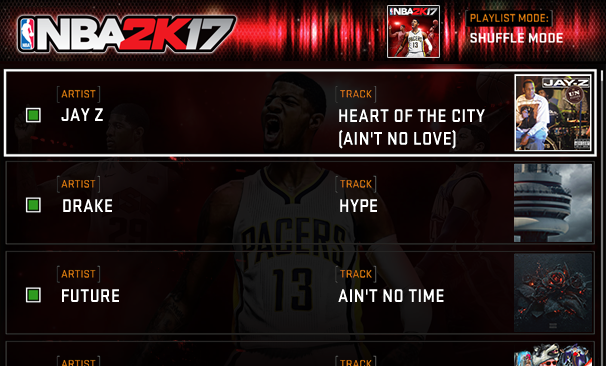 For more news, videos and screenshots, visit our NBA 2K17 page.